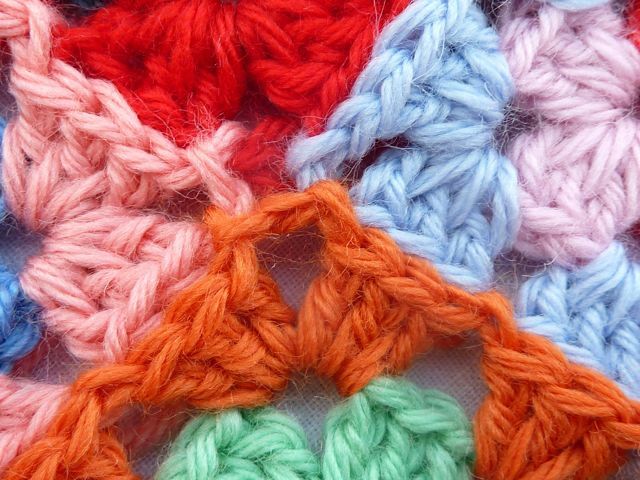 Joining your Granny Squares as-you-go saves you a lot of time and lets you see your crochet creation grow right in front of your eyes. 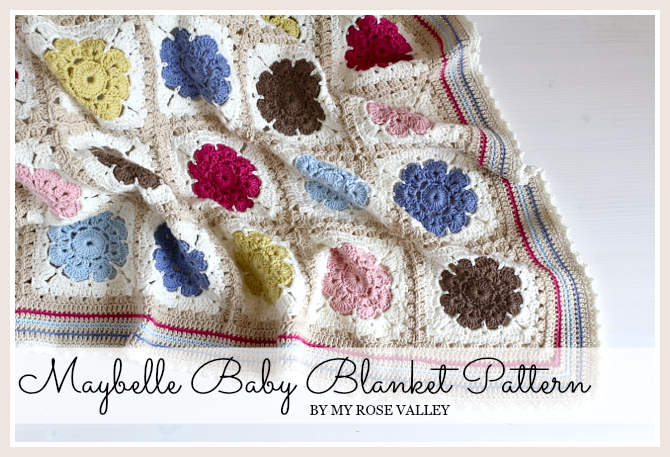 I think this is a fabulous way of making a larger blanket. 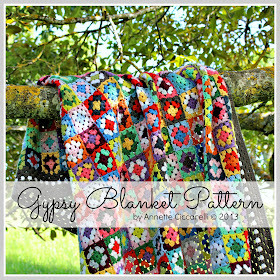 And when working with a larger variety of colors like in my Gypsy Blanket, it naturally gives you the chance to see, as you go, what colour to use next time to find the right balance of dark and light, bright and faded colours. There are many tutorials out there already but many of my readers keep asking me to make a tutorial and so here it is. I actually took these pictures last summer so enjoy the sunshine in these pictures and allow yourself to long for spring time. It is right around the corner. :) Okay, lets get started. 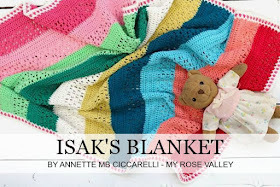 This blanket is made of 3-row granny squares. 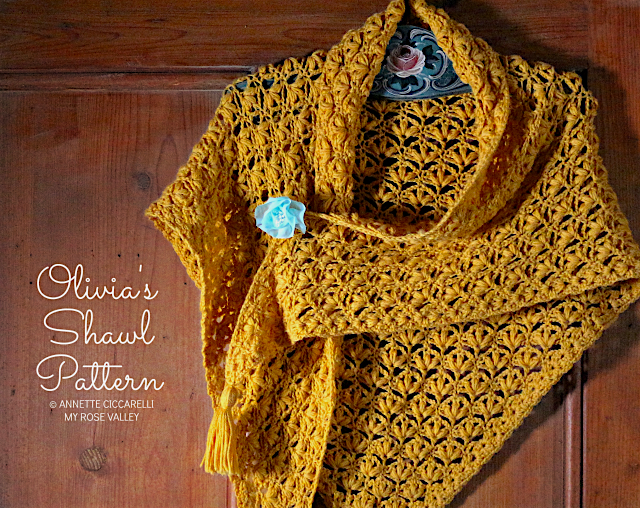 I generally have 1 chain in between my granny clusters and 3 chains in my corners and that is what my Join-As-You-Go Tutorial will be based upon. I preferably join my squares in rows as this makes it easier only having to join with 2 other squares each time. I am right handed and naturally I then work myself from the left on my blaket to the right, always having my joining squares on my left and at the top. I work my patterns/tutorials in UK terms. See my conversion table under My Tutorials for US terms. I start my 3rd row in a corner, feel free to start on the side if you want. 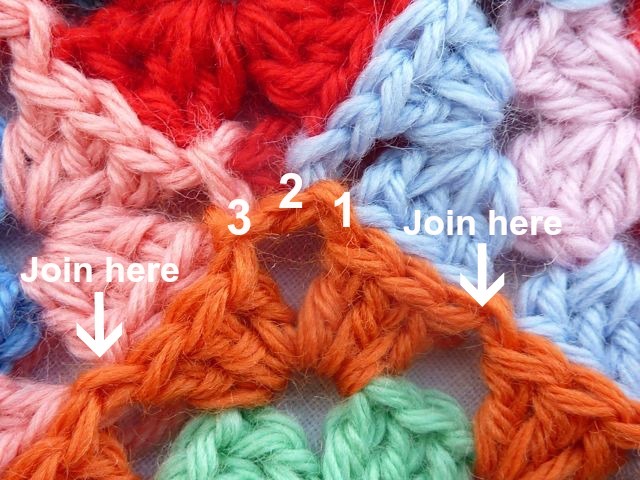 When you reach your upcoming corner you make 1 granny cluster of 3 tr (UK) and then you find the place in your blanket where you will join your square. 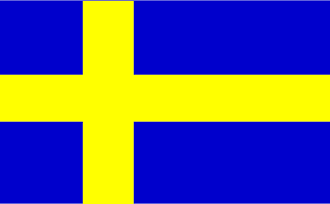 I will add this square to the apricot square on my left, the red in the corner and the baby blue at the top. You start by making a chain like you normally do in a corner. For your 2nd chain, lead your hook from the front to the back to fetch yarn in the light blue corner, pull it through the corner and then your loop. This is your 2nd chain that you usually make in the corner. Next you make a chain without joining, just like normal. Make your 2nd 3tr granny cluster in your squares corner. 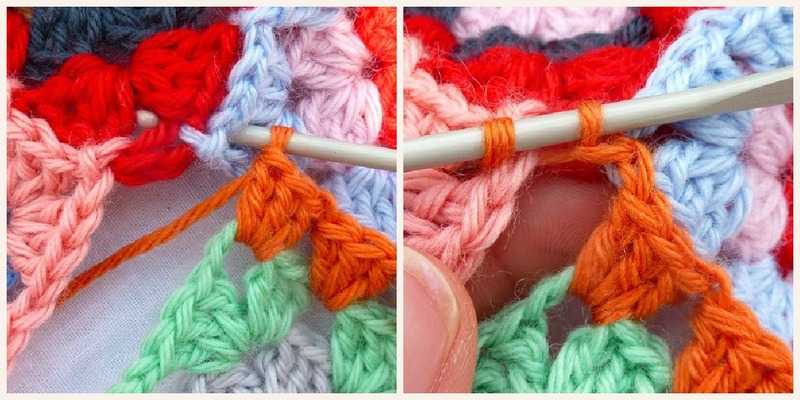 To join on the side of the light blue granny you repeat the joining procedure in every space between granny clusters: Lead your hook from the front to the back to fetch yarn in the space between granny clusters, pull it through the space and then your loop. This is your chain that you normally make between your granny clusters on the side of your granny. Make a granny cluster... continue. 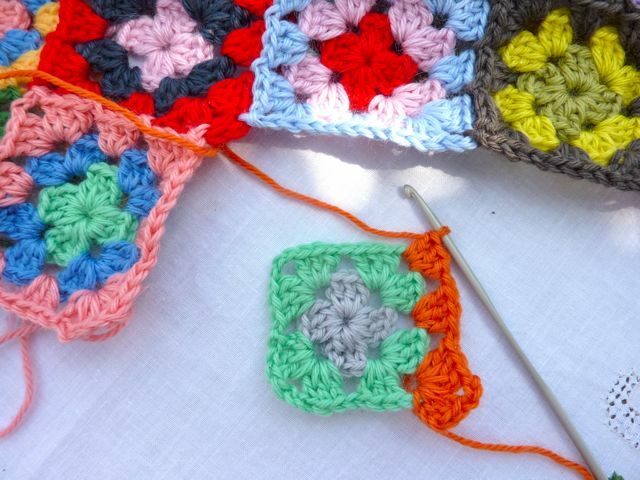 Now you come to the tricky corner with 3 granny squares to join into. The trick is to only join into your upper square and the one to the left and skip the (in this picture) red one in the corner. Like this: lead your hook from the front to the back to fetch yarn in the light blue corner, pull it through the corner and then your loop. This is your 1st chain that you usually make in the corner. Make a chain without joining - your 2nd chain that you normally make in the corner. 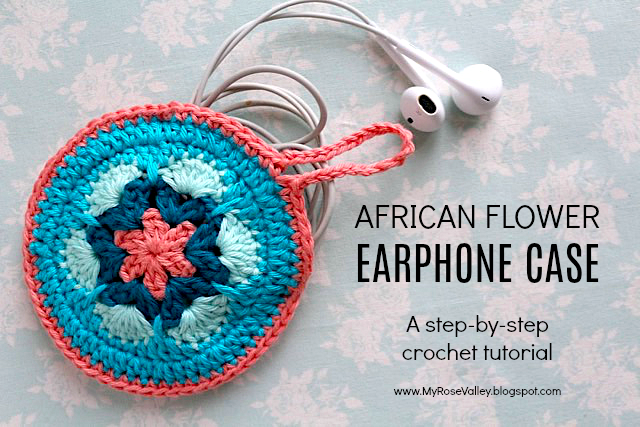 Lead your hook from the front to the back to fetch yarn in the apricot corner, pull it through the corner and then your loop. This is your 3rd chain that you usually make in the corner. Now make 3 tr cluster in your corner and continue to join to the apricot square like you did in Step 4. 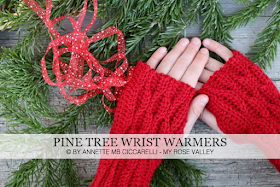 Join your last corner like you did with your first (chain -join-chain), finish your 3rd row, close it with a slip stitch and VOILA! All nice and neatly joined. In the picture below of the tricky corner, you can see the stitches and where they are joined with help from my notes. Hope you enjoyed this tutorial. If anything is unclear, please let me know. I am happy to share. Enjoy the Join-As-You-Go ride. 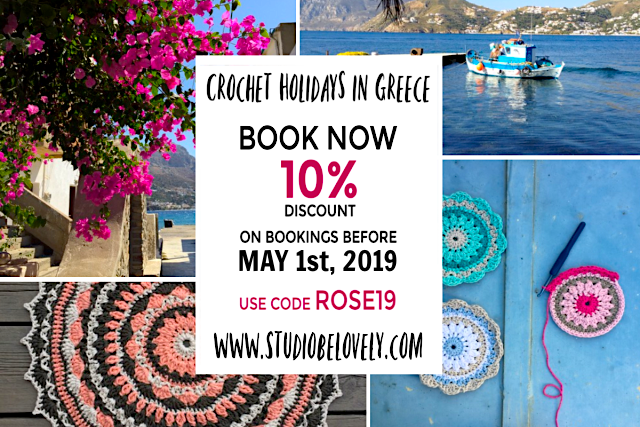 Note: Yarn used is Ideal from Bergere de France and is available at LoveCrochet.com who offers quick and smooth delivery worldwide. Thank you so much Annette!!! Very clear, both pics and your kind explanation!!! Especially like your photos for that 3-join corners! 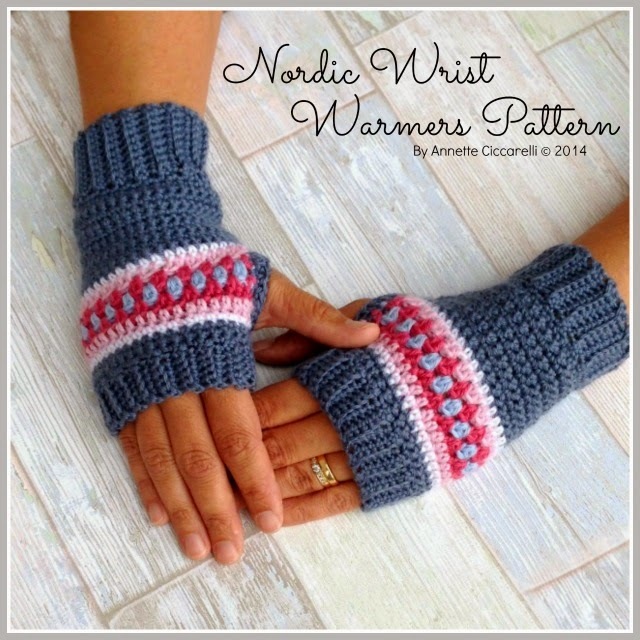 May I share the link on my Facebook Crochet Group "Ons Hekel"? I just love this join-as-you-go method and haven't done anything else since I learned how to do it! How nice of you to put up a tutorial that is so clear! 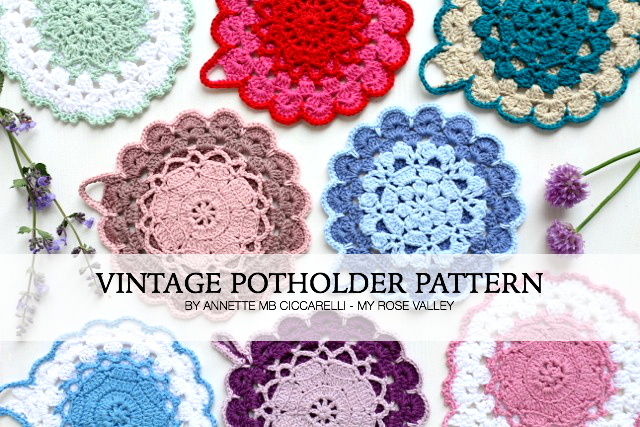 I'm sure it will be much appreciated by all crochet fans. I have just finished a circle in square granny cushion, but still have to weave in all those loose ends and crochet the two sides together! Have a great weekend! Ha, seeing your pics we were both talking the same thing. Thanks for your help the other day Annette, this is what I am doing. What lovely, clear instructions & pictures! Thank you Annette! Thanks for the clear photos on the 3-way join, there in the corner! 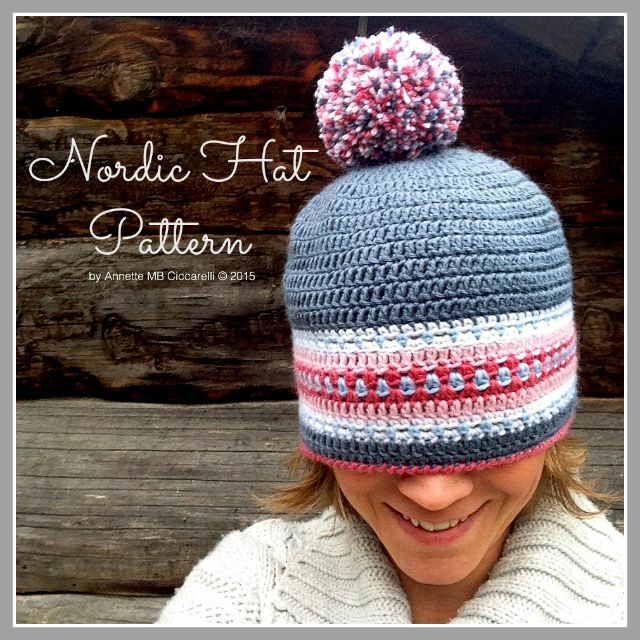 May I share the link on my Facebook crochet group "Ons Hekel"? 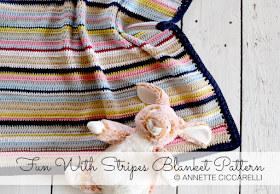 Thanks for taking the time to prepare such a wonderful tutorial Annette - i have seen "join as you go" before but never tried it, and this looks a great way to make a blanket - you make it look achieveable!!! I'm looking forward to trying this! Super, vielen Dank für die ausführliche Erklärung! 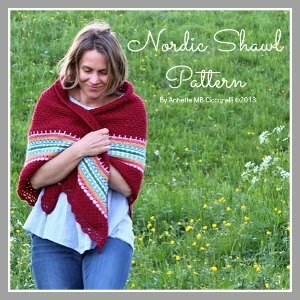 Annette, Great tutorial, I have always done this a bit differently, but I like your way much more. Annette! Sua explicação me ajudou muito!! Obrigada!!! Aprendo muito com você!! Me encanta tu propuesta de manta y lo colorida que es, gracias por enseñarla, un abrazo y buen fin de semana amiga. I love your blog! 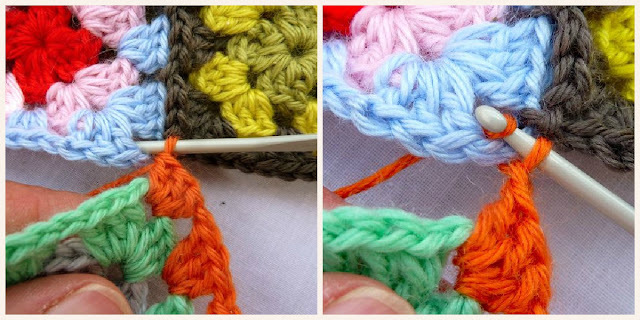 I am new to crochet and wondered if you could offer some help with choosing colors. I love how you mix colors and they blend so well. I can't figure out how to pick my colors and wondered if you could share your technique. Thanks so much. Totally my pleasure to share! How cool... any chance you have done a YOUTUBE video?? I just found your blog and LOVE IT!!!! So inspiring!! Thank you so much for that precious tutorial! I love your site so much. I always wanted to learn how to do it and it looks easier than I thought. Your pictures are great. Thanks so much and Happy crocheting. Tack för beskrivningen, jag har länkat till dina fina bilder så att många vikande ungerska besökare skall kunna hitta till dig. Hälsningar från Borås. Thank you for this great tutorial. Looking forward to giving it a go! 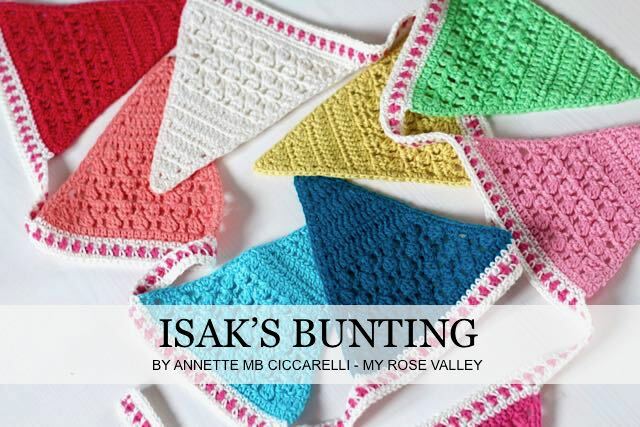 I have just found your link from Haak Maar Raak, I have tried soooo many joining seams only to pull it all out, this however is perfect, Thank you for sharing such a well illustrated, explained tutorial. 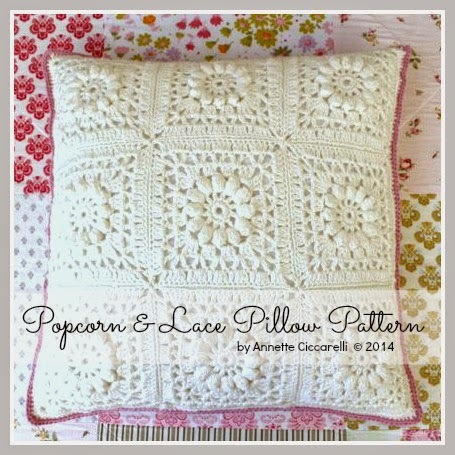 Thank you ever so much for making this tutorial, which I found through Knot Your Nana's Crochet site, searching how to join the squares. 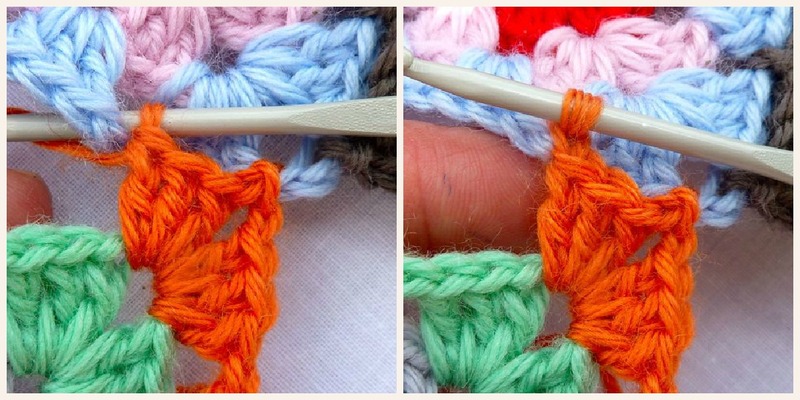 I'm re-learning the Granny, and crochet stitches in general. Step 5 was very unclear with the photos wasn't adding up... the photo shows you're going into 2 corners then you're description didn't specify it... So, do you go through the 2 corners then chain, and finally go through the 3rd corner?! Not sure what you find unclear. 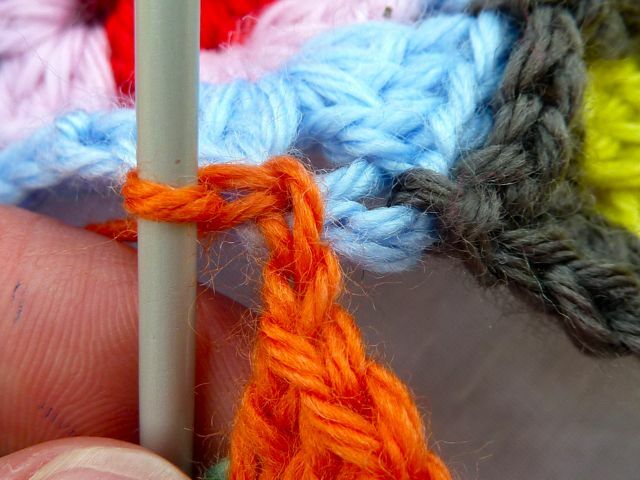 The instruction clearly states you need to join in the upper square's corner (light blue) with a chain, then make a chain without joining and then join into the corner of the square to your left (apricot)with a chain. In the second picture you can see the first chain joined to the light blue square corner, the 2nd chain made without joining into any square (you skip the red one) and the 3rd chain in process of joining into the apricot square. Also, look at the last picture where you can see exactly where your joins are going. Good luck! Thanks for this tutorial. 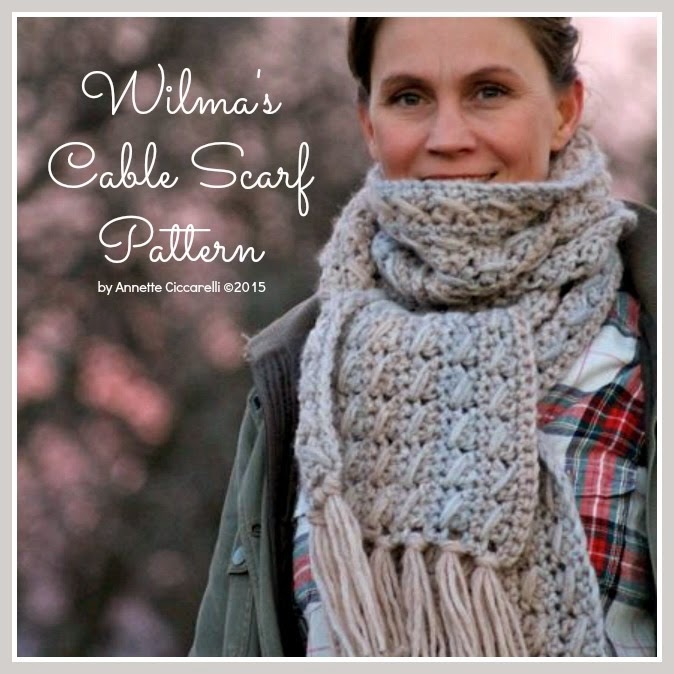 It worked out really well and saved me heaps of sewing up time. 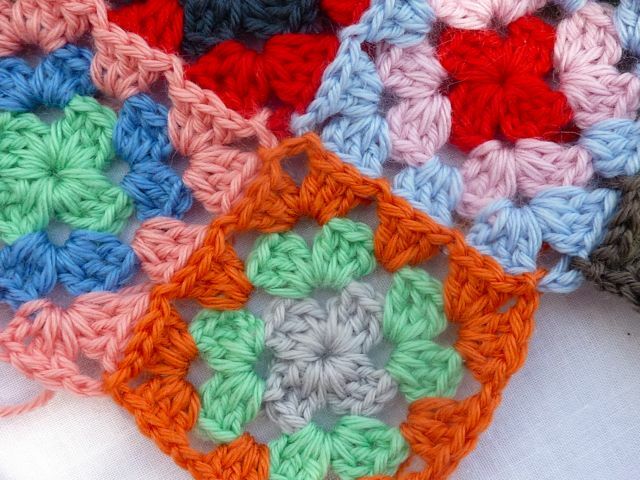 My elderly neighbor babysat me one day and taught me how to make a granny square by the time I was 10! I still have issues trying to figure out patterns, at times staring hard, lol, and you have saved me many more years of sewing squares together one by one by one... Thanks for saving me from that!